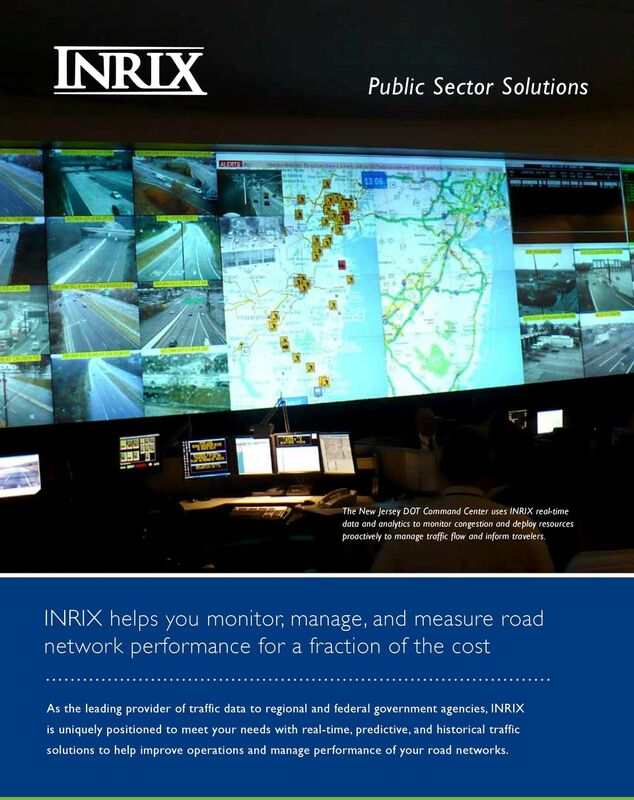 1 Public Sector Solutions The New Jersey DOT Command Center uses INRIX real-time data and analytics to monitor congestion and deploy resources proactively to manage traffic flow and inform travelers. 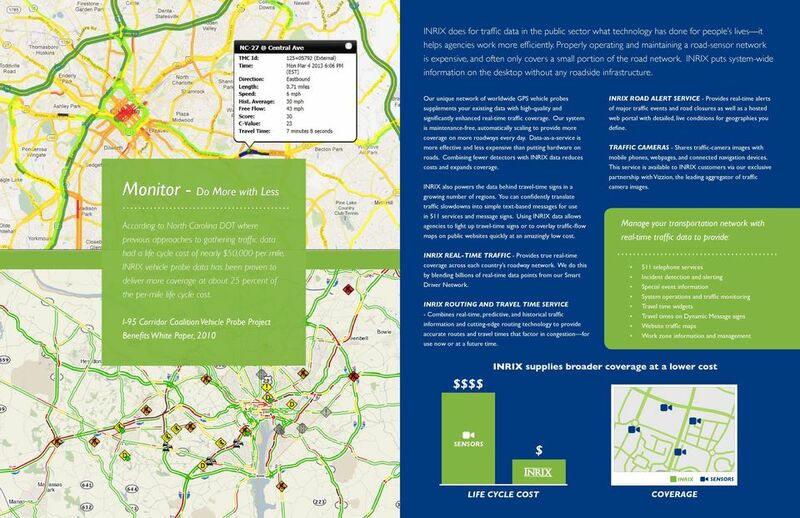 INRIX helps you monitor, manage, and measure road network performance for a fraction of the cost As the leading provider of traffic data to regional and federal government agencies, INRIX is uniquely positioned to meet your needs with real-time, predictive, and historical traffic solutions to help improve operations and manage performance of your road networks. 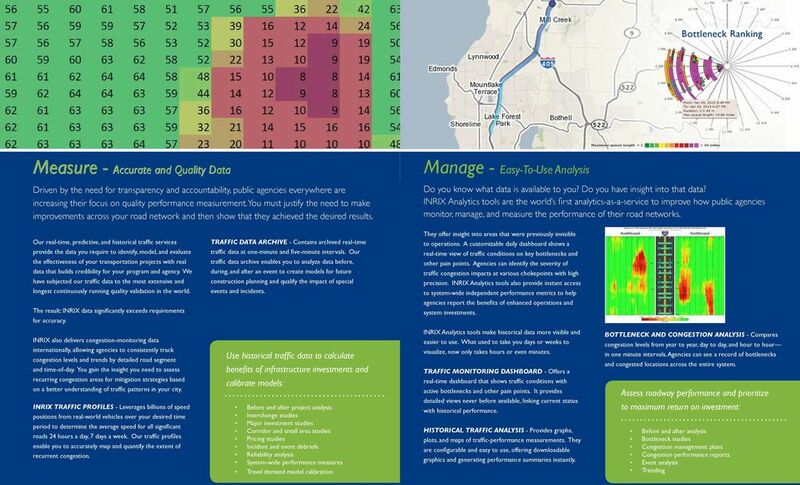 5 Monitor, Manage & Measure road network performance for a fraction of the cost. Are you interested? Contact a member of the INRIX Public Sector team at to schedule a meeting. 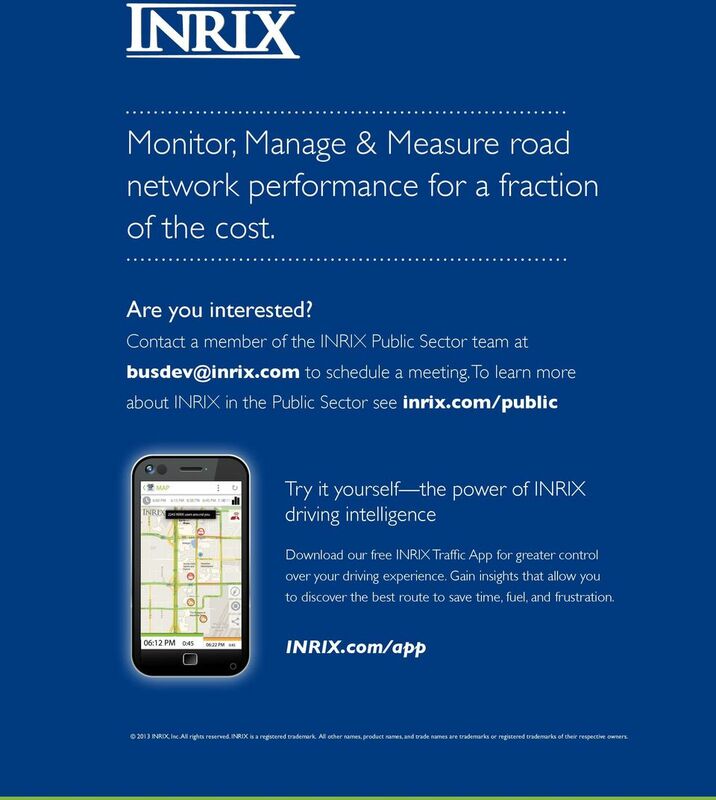 To learn more about INRIX in the Public Sector see inrix.com/public Try it yourself the power of INRIX driving intelligence Download our free INRIX Traffic App for greater control over your driving experience. 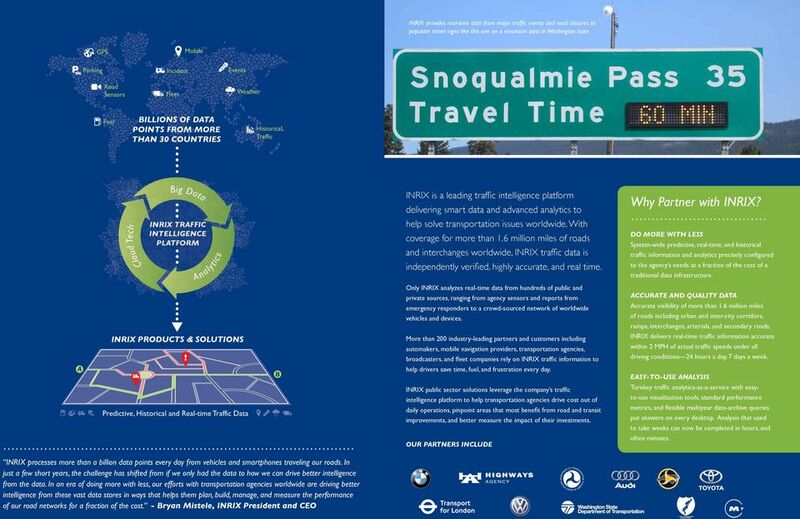 Gain insights that allow you to discover the best route to save time, fuel, and frustration. INRIX.com/app 2013 INRIX, Inc. All rights reserved. INRIX is a registered trademark. All other names, product names, and trade names are trademarks or registered trademarks of their respective owners. REDEFINING. Real Time. GFI Systems Inc #400 4406 50 th Ave Red Deer AB, T4N376 Canada. www.gfisystems.ca gfi@gfisystems.ca Toll Free: 1.855.GFI. Traffic Jam workshop September TomTom. All Rights Reserved. What the Hell is Big Data?